The training you receive in application of SWEPCO Waterproofing Systems and Products at the SWEPCO Training School provides you the opportunity to earn much, much more. Adding application to the services you offer, multiplies your earnings potential significantly. It is not uncommon for our sales associates and distributors to earn much more profit on application of the products they sell than the commissions or mark-ups they receive for selling them. Application can easily multiply the amount earned on the sale itself. Offering application services also makes winning projects easier because having application totally under your control gives you the opportunity to offer full service to the Customer. 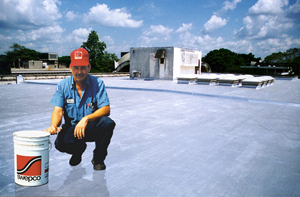 While proper application of SWEPCO Waterproofing Systems and Products is necessary to achieve reliable, long term service, application is not difficult. 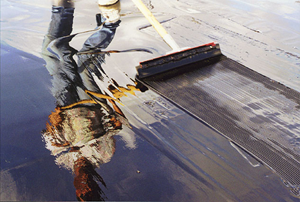 Most SWEPCO Brand Products are "cold process" products that are applied easily with simple tools such as brushes, squeegees and commercial spray equipment without the need for heating or complex application processes. It takes very little training to learn the essentials. 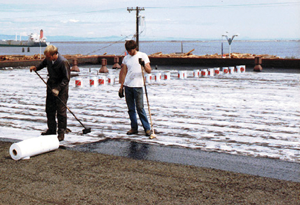 Most of the performance of SWEPCO Waterproofing Systems is designed into the systems themselves. So a small, well-trained application crew of three or four men can easily produce hundreds of thousands of dollars in profit each year.